Google has a plethora of apps available in the Play Store, as one might expect, and now the list grows by one more. 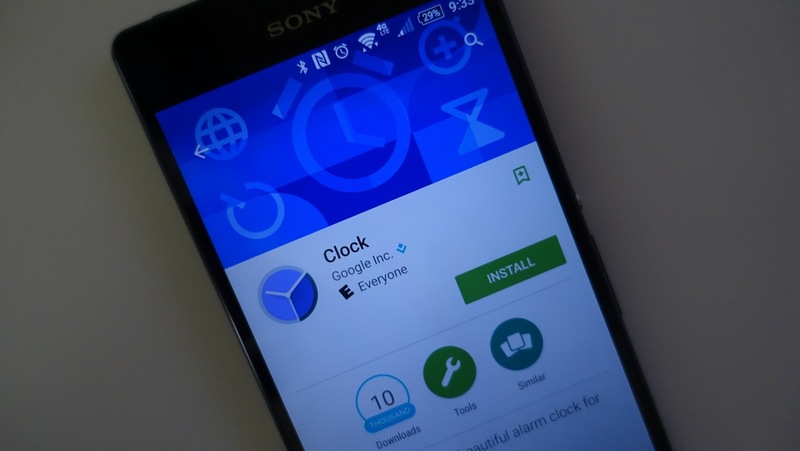 On Thursday, June 18, Google officially released its own Clock app into the Play Store for Android users’ download pleasure. It’s a free app that measures in at 6.6MB, and Google says it needs to be installed on an Android device running Android 4.4 or newer. As far as features go, the Clock app does all of the expected things: Set timers and alarms, check the world clock, and run a stopwatch. An obvious Material Design aesthetic has been applied for good measure. The current app is compatible with all Android phones and tablets running KitKat 4.4 all the way through Android M. Don't expect the Clock app to be updated on a regular basis, but at least you won't have to wait for your manufacturer and carrier anymore. The Clock app is available now, with a link below to download it if you want to check it out.